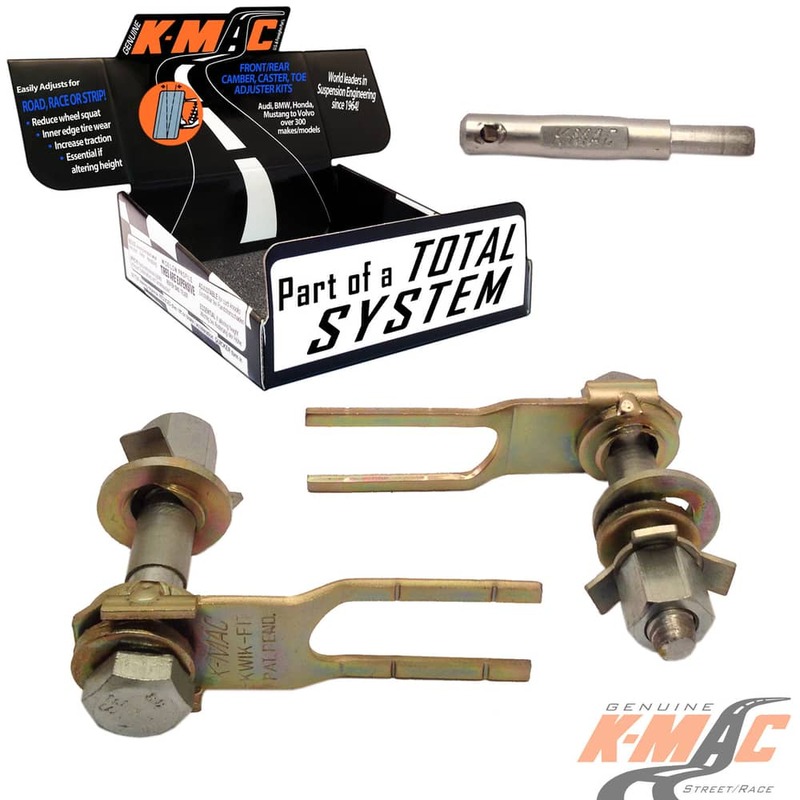 K-MAC “Patented Design” KWIK FIT Camber kit, designed to suit 2 Bolt Flange Struts. With K-MAC no under-size “offset crank bolts” used. 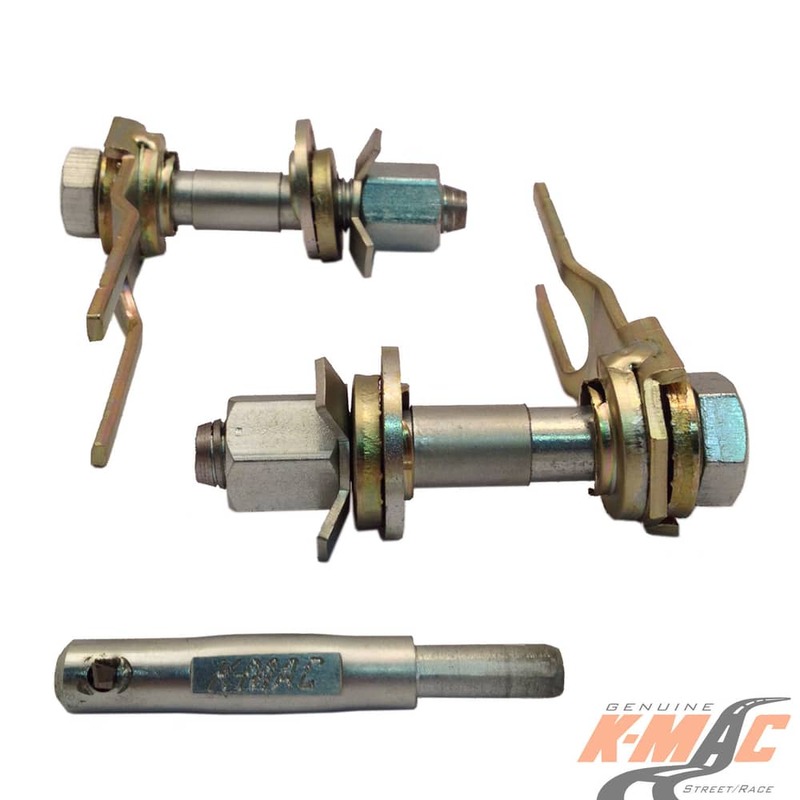 These 2 bolts are a critical suspension component holding the stub axle/wheels on! 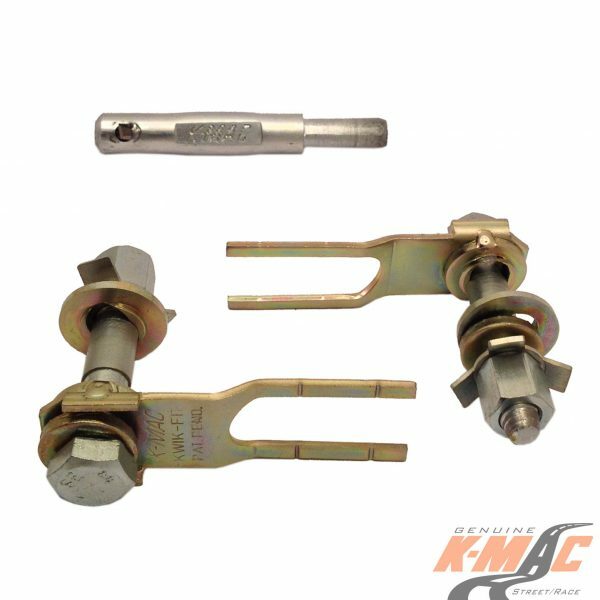 Crank bolts downsize the OEM specified diameter to allow 2mm adjustment range, while K-MAC bolts have a non-slip lock feature and retain OEM diameter for strength and safety with more than twice the adjustment range of crank or stepped bolts.